The definitive story of the Beatles' early years by the world’s finest music writers. In 1973, three years after their split, The Beatles were the subject of the legendary ‘Red’ and ‘Blue’ albums, compiling the most iconic songs of their early and later periods. To salute those historic collections, MOJO is bringing together its finest writing on the group in two special deluxe ‘Red’ and ‘Blue’ volumes. 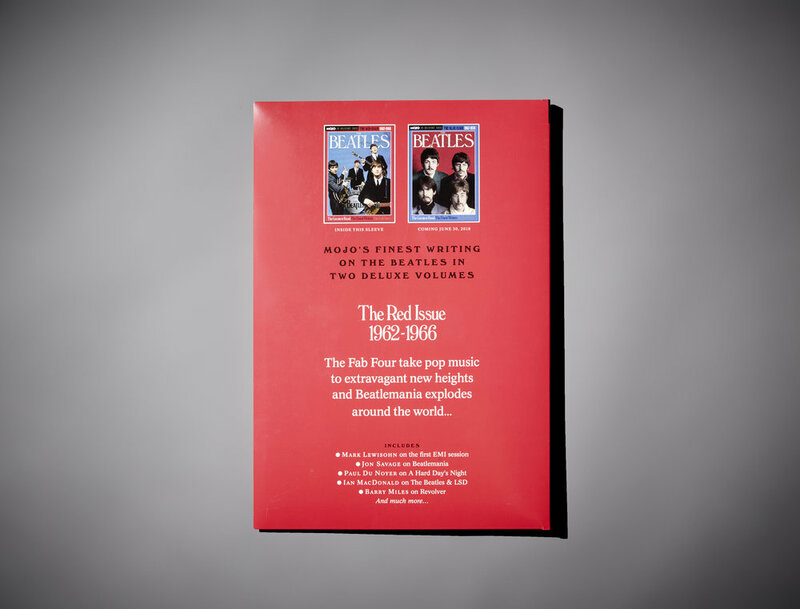 The Red Issue 1962-1966, on sale March 29, comes in a glossy gatefold sleeve which also has room for The Blue Issue, too. The Red Issue tells the story of The Beatles’ extraordinary transformation from a struggling Liverpool beat group to the mop-topped superstars who sparked Beatlemania around the world, all the while elevating their songwriting and music to ever-more extravagant and mind-blowing heights. The Red Issue will be followed by The Blue Issue 1967-1970, on sale from June 30, 2018, which will chart the group’s adventures in psychedelia, political awakening, their last-ever concert and dramatic split.